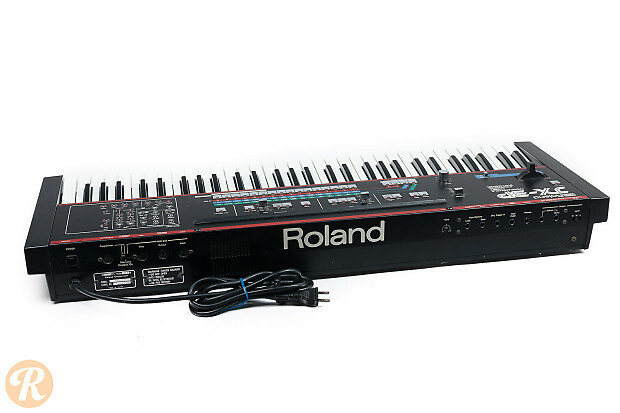 The Roland JX-3P analog polyphonic synthesizer is one of the first Roland analog synths to offer MIDI. 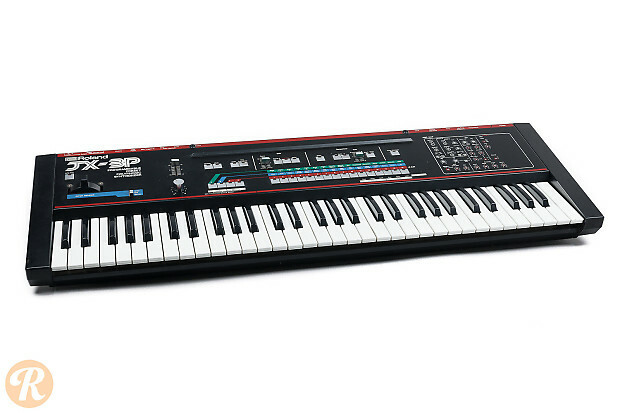 Manufactured in 1983, the JX-3P features 6 voices, 61 keys, resonant low-pass and high-pass filters, 32 preset and 32 user patch memory, Roland's famous onboard chorus effect, and a 128 step sequencer. 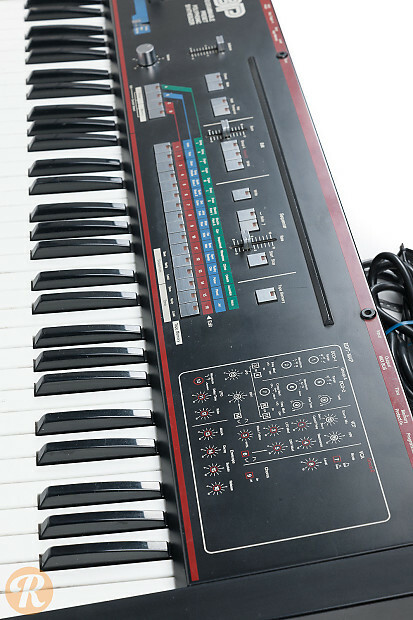 It is frequently paired with the PG-200 programmer to allow for easier patch creation.